Online review profiles are a business’s key to gaining more customers from the internet. Perhaps one of the best parts of boosting your business’s online reputation is that you’ll be attracting customers who are actively looking for services like yours as they’re searching online. 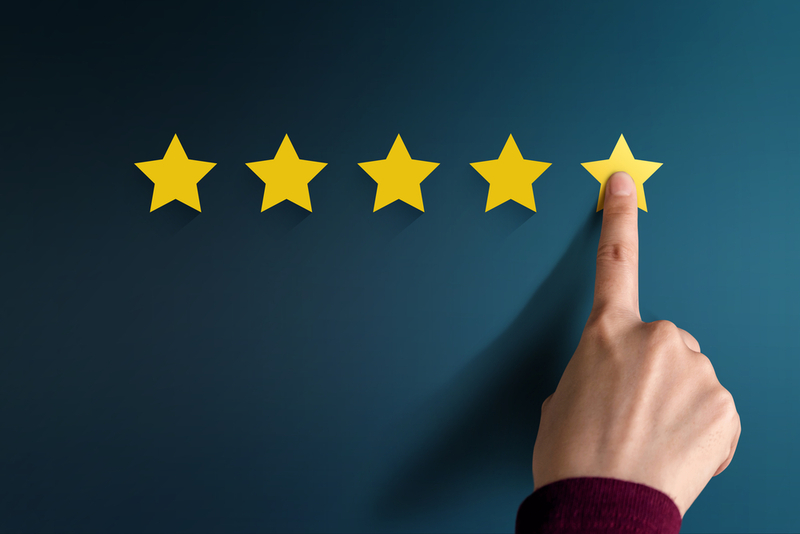 In this blog, we’ll be covering how you can build your online review profile to start getting ahead of your competition and keeping your business looking great online. Your business’s online reputation is made up of anything and everything that appears about your business online. It is also closely linked to how highly ranked your business is by search engines like Google, who use your online reputation to place you on the search results page. The number one ranking factor Google is taking into account are business ratings. This means that your average scores on review sites, especially Google’s own platform, can dictate how successful your business can be online. This is why, in addition to having a great website, it is important to promote online reviews for your business. The majority of consumers are heading online to get information about businesses. Everything from how quickly your website loads, how well-managed your social media profiles are, to what people are saying about you in an online review counts. Each factor actively builds your business’s online reputation and can directly impact your brand. Online reviews are one of the honest forms of advertising. These reviews aren’t paid for. They aren’t scripted. And they aren’t directly controlled by the company. Consumers are able to get so much value from online reviews for one reason: they’re honest. If a business is following the guidelines set up by review sites, which specifically say reviews cannot be paid for or scripted, consumers will be able to get real insight about what a business is like. And, to many, that information means more than anything you can self-report on your site. So, making sure that your business has a good profile full of honest customer reviews, even if some are negative, can help keep your business successful. One of the most obvious, but important, aspects of your business’s online profiles is the name, address, and phone number listed. When someone is looking for information, they should be able to call you directly from the number on your profile without reaching a dead phone line. That’s why you should first ensure that this information, as well as your business hours, are listed properly on each and every profile. Many consumers like to see photos of a business before they head to a physical location. So, make sure your online review profiles are well-stocked with images. It’s recommended that you have professional photos of the interior and exterior of your business as well as photos highlighting unique aspects of your location and even your staff. People like doing business with other people, so make sure your photos are inviting and showcase the great environment you and your staff create. Many online review profiles will have spaces where you’ll be encouraged to input additional information. Some websites will give you the space to type out your business’s mission and values, how inclusive it is, whether or not it’s accessible, and so forth. Depending on your industry and the specific review profile, there may be different pieces of information that you choose to highlight. Regardless of what time of business you manage, it’s important to provide potential customers with the best possible reflection of your services. Once you have all of your profiles updated and filled out completely, it’s time to begin asking customers for their feedback and reaping the rewards of having a great online reputation. Interested in learning more about your online review profiles? Check out the experts at RepCheckup.